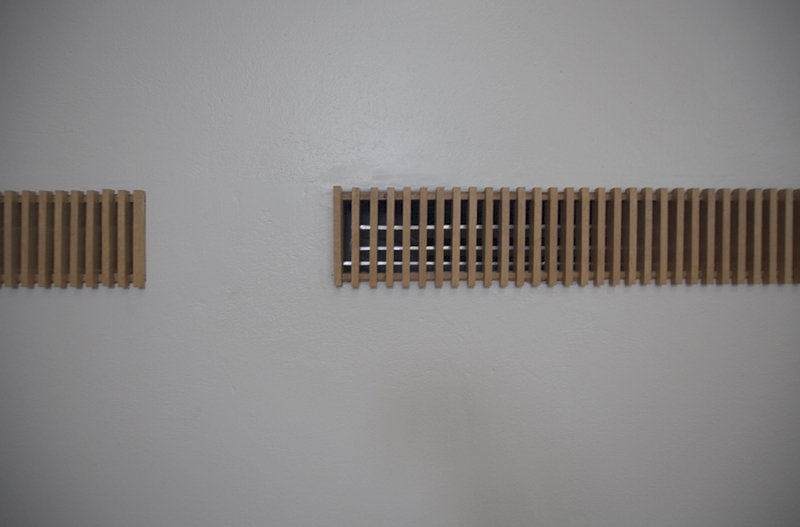 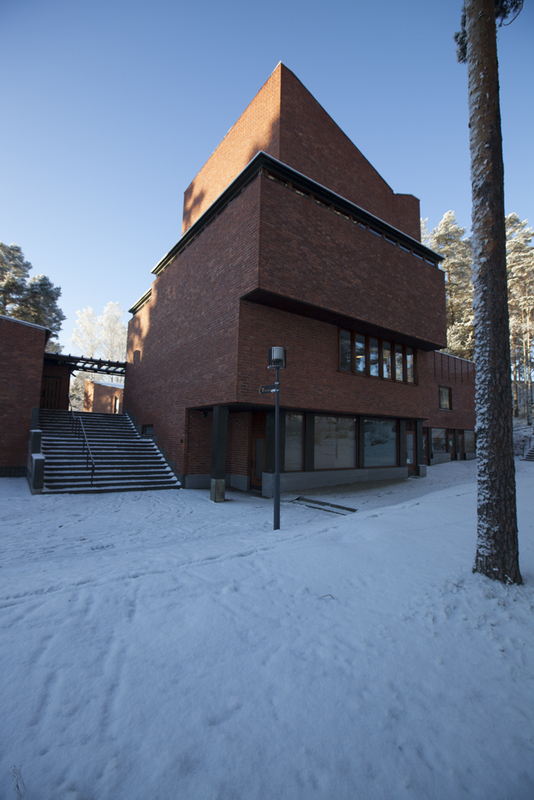 The Academic Bookstore in Helsinki (Elissa and Alvar Aalto, 1969) in stereo. 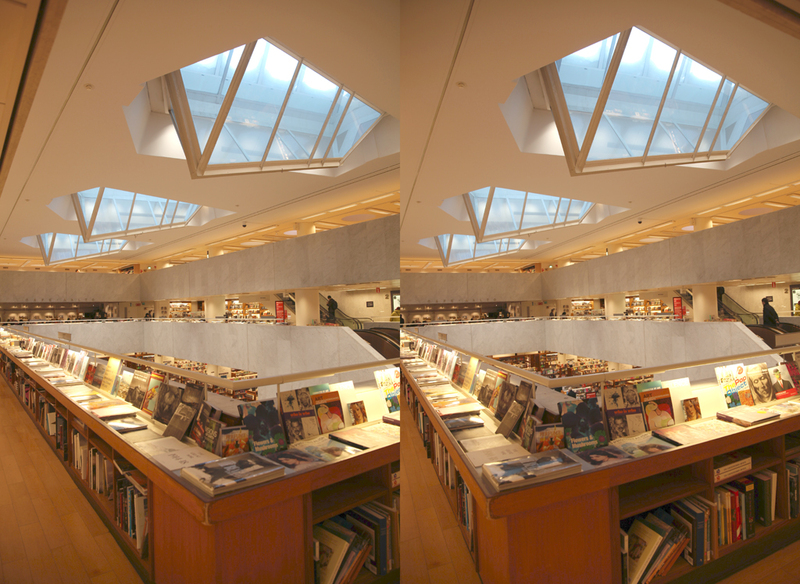 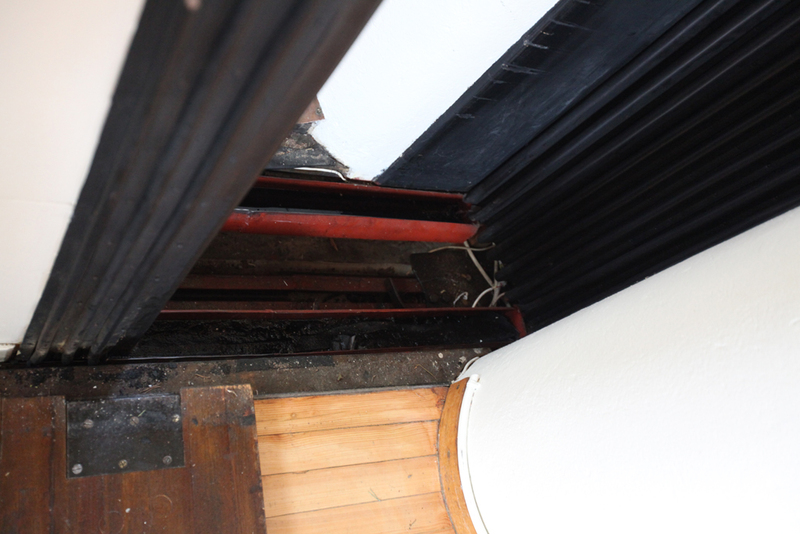 The bookshelves in the foreground are very hard to resolve so concentrate on the skylights. 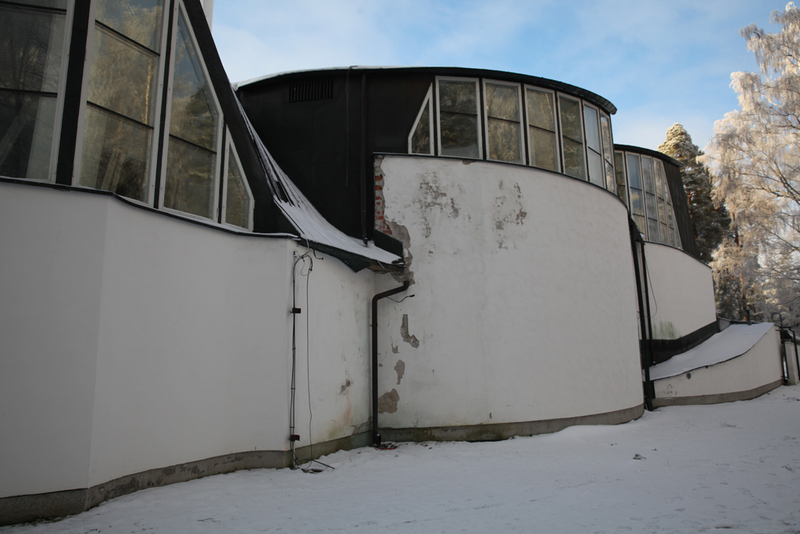 Usual procedure for viewing. 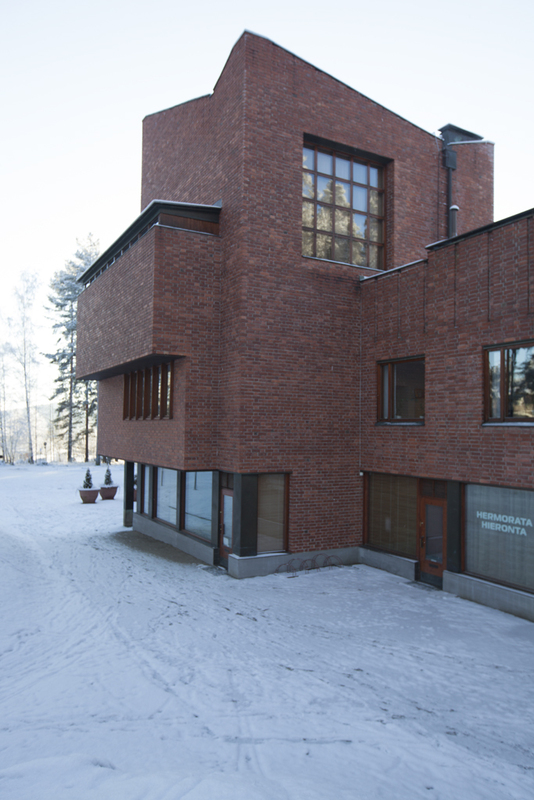 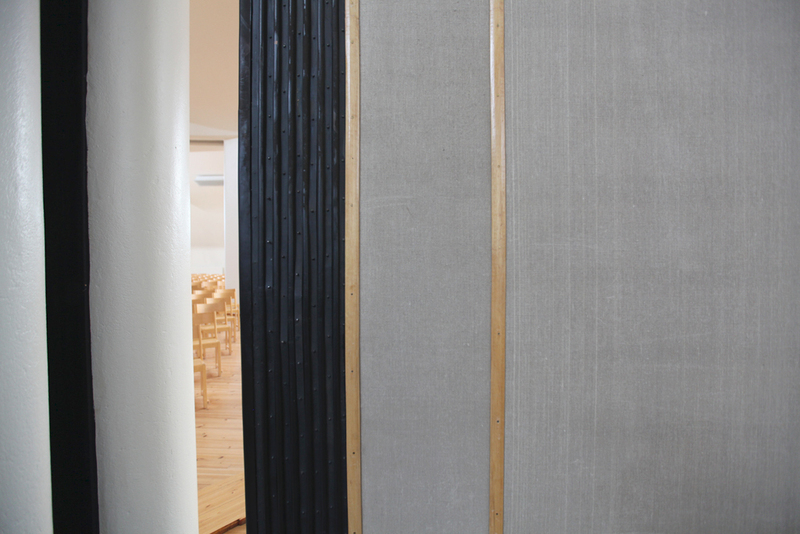 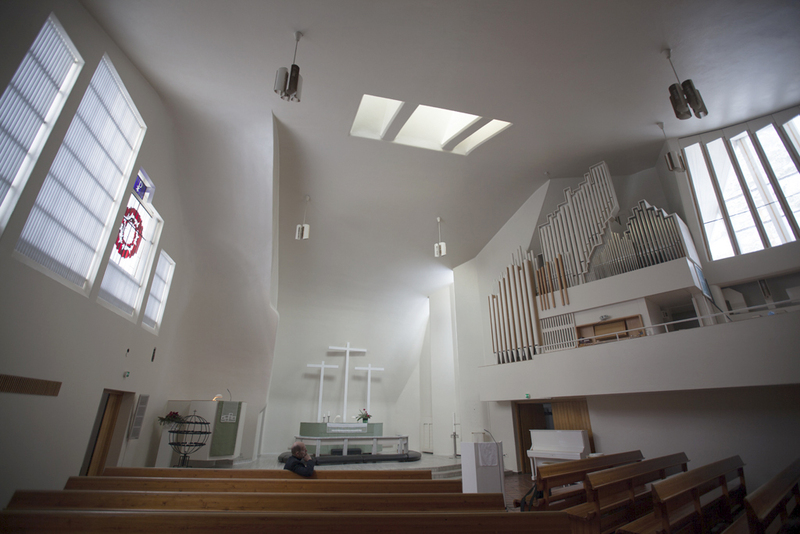 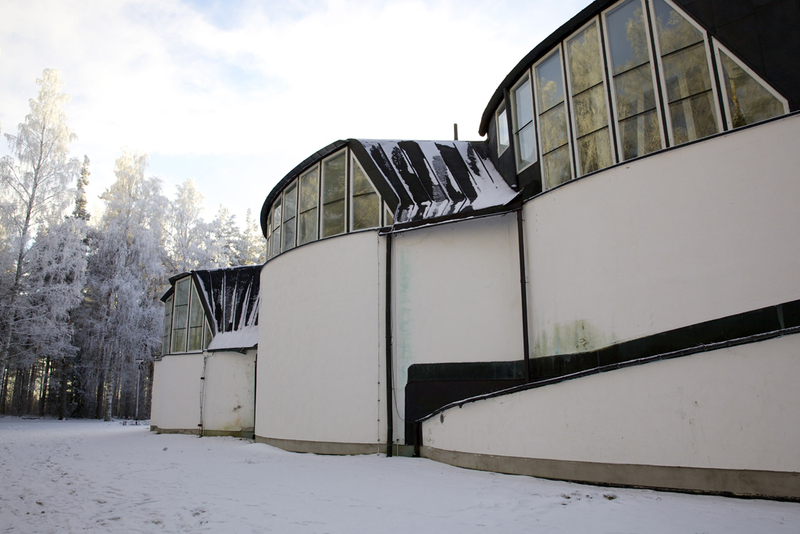 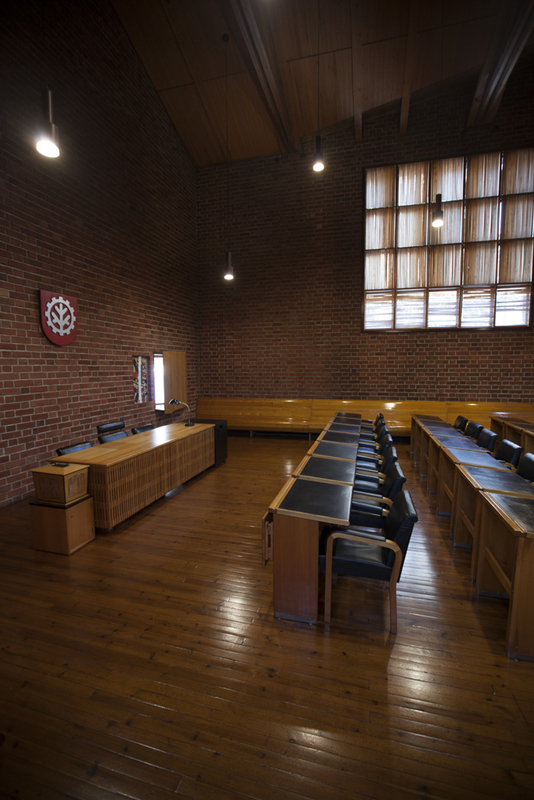 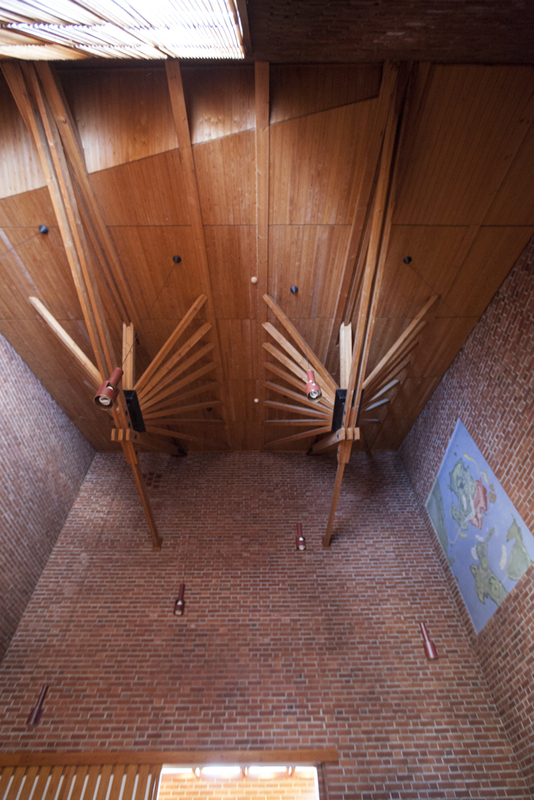 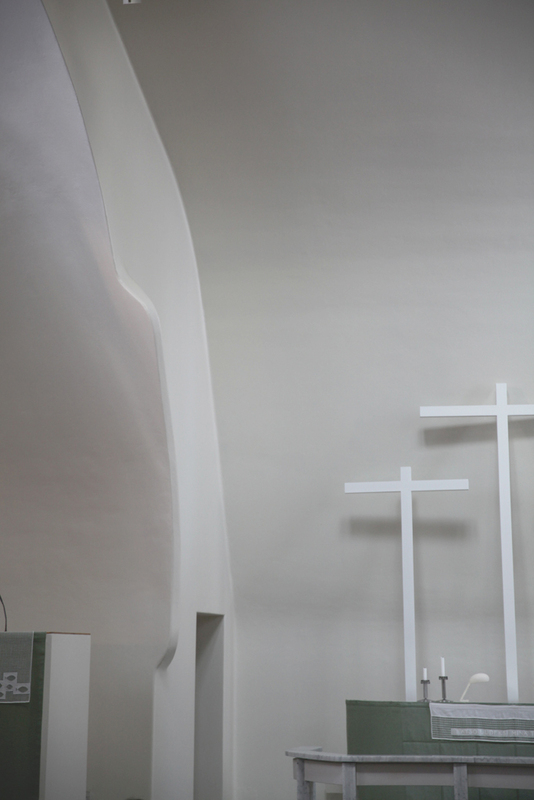 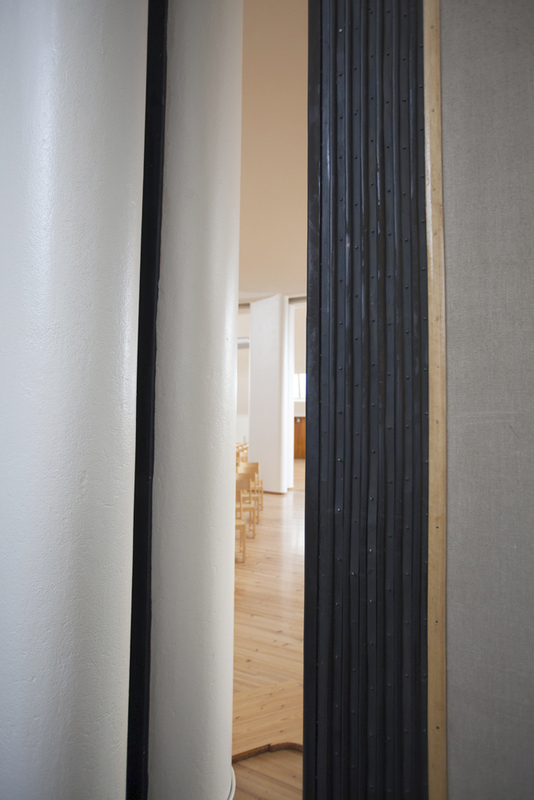 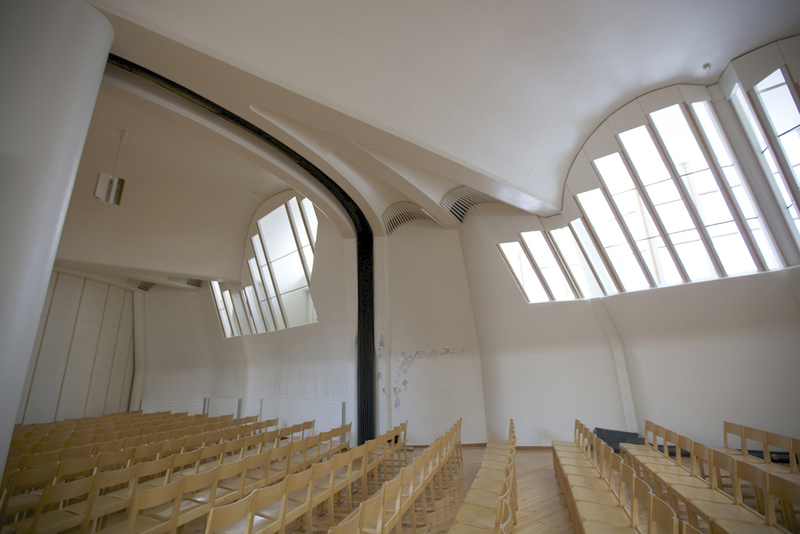 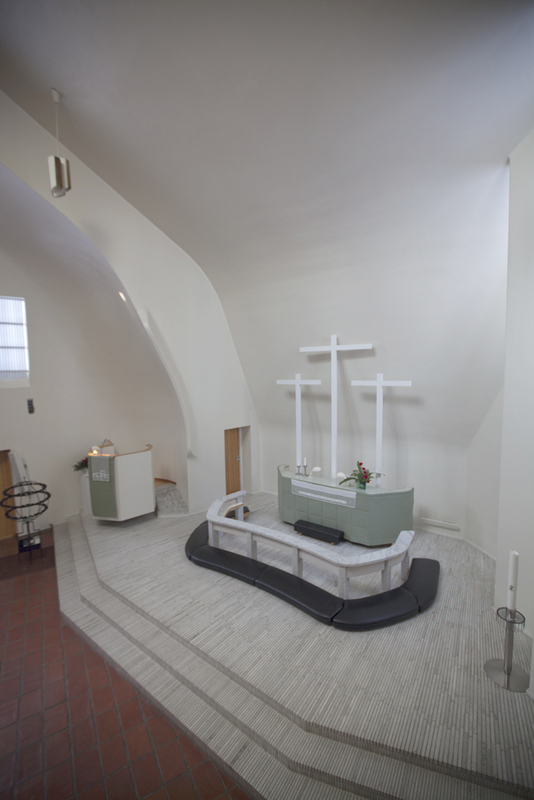 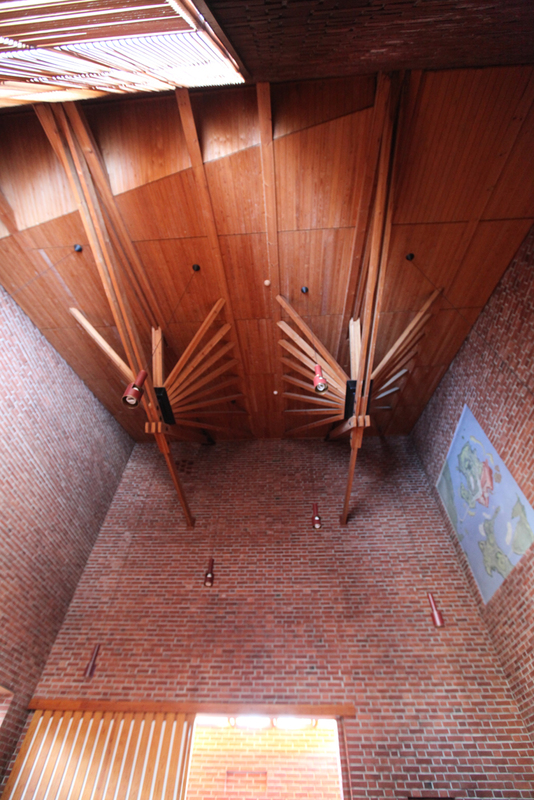 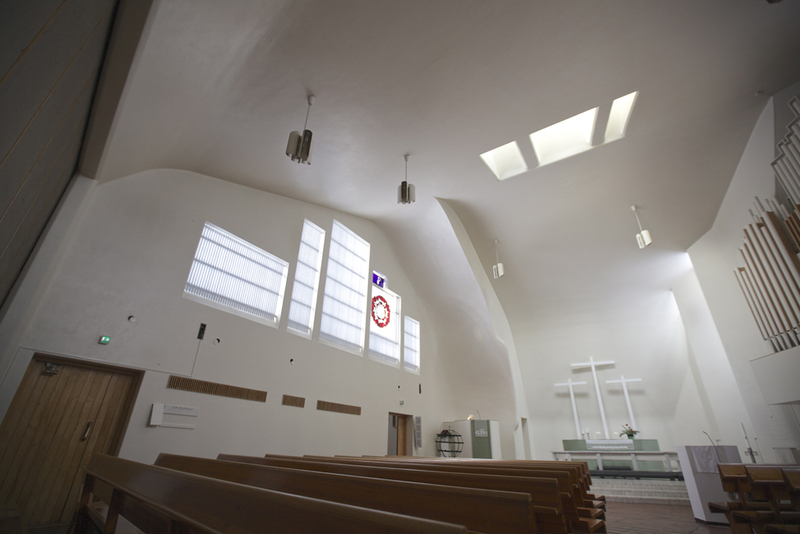 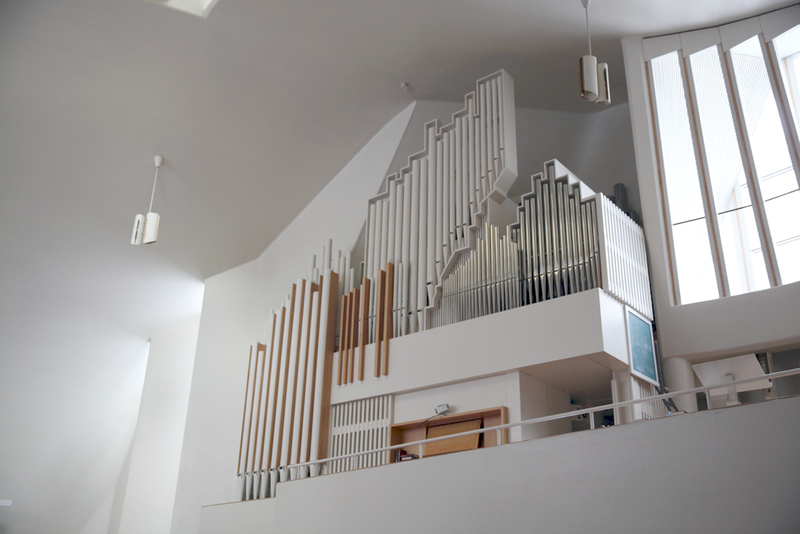 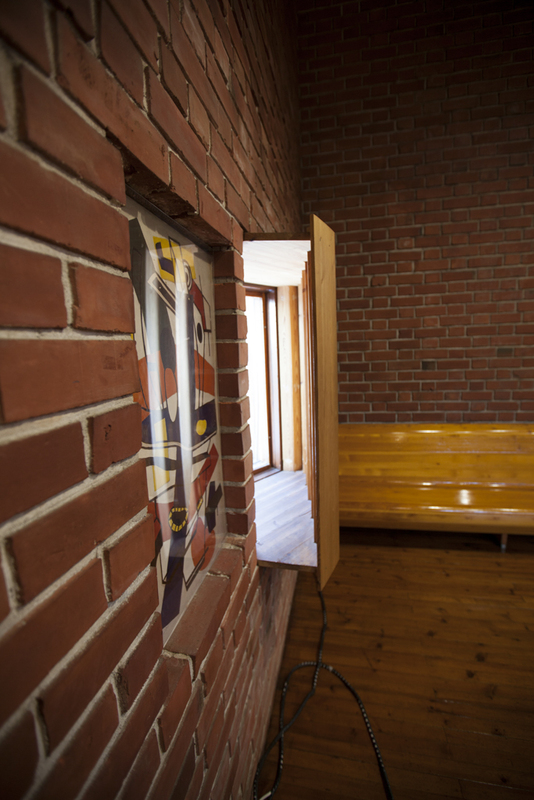 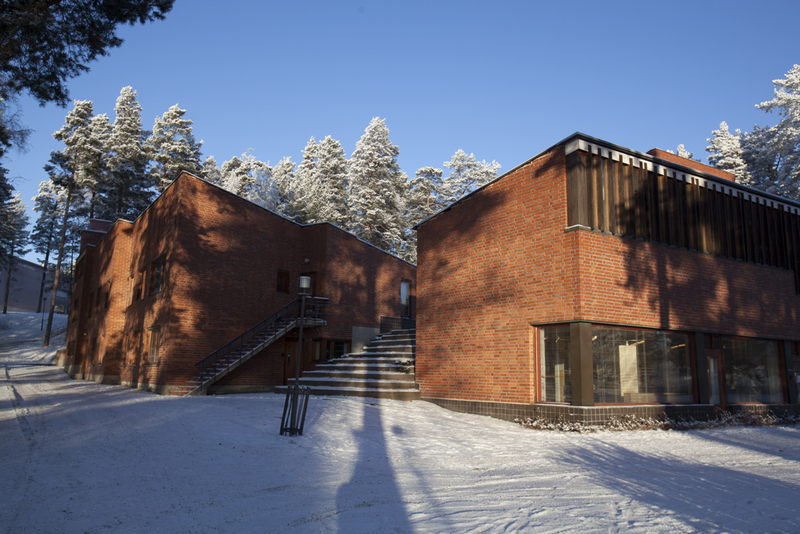 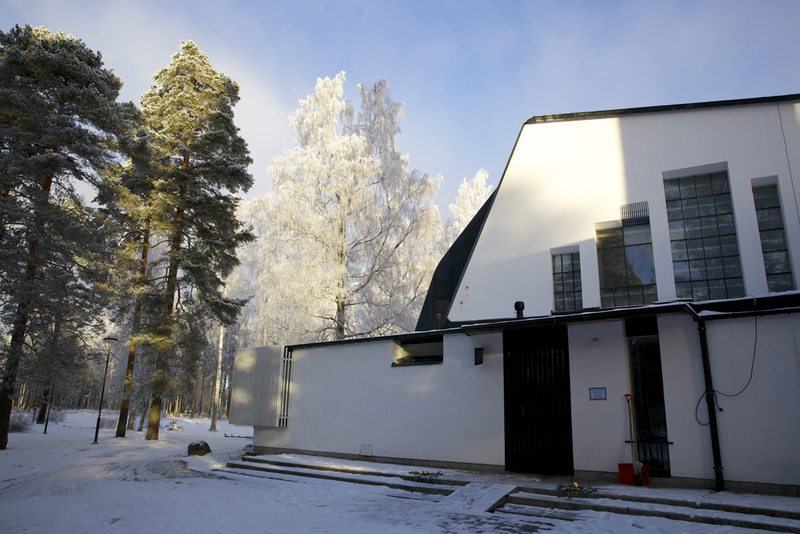 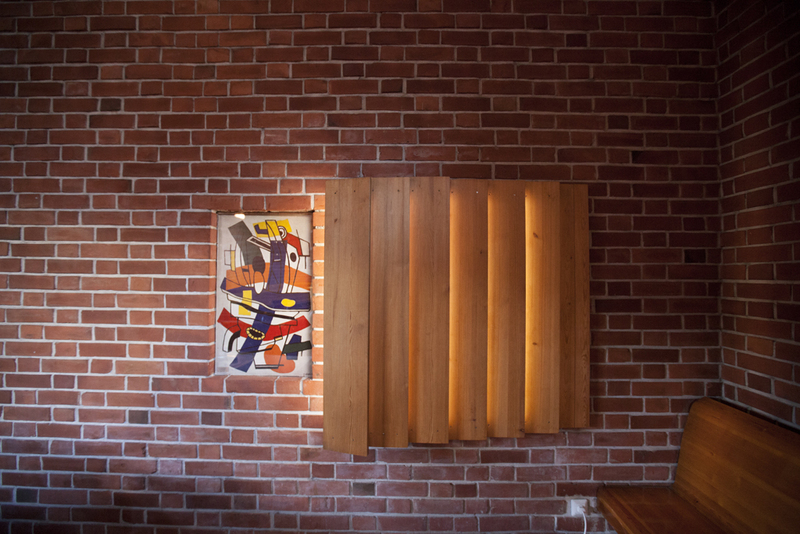 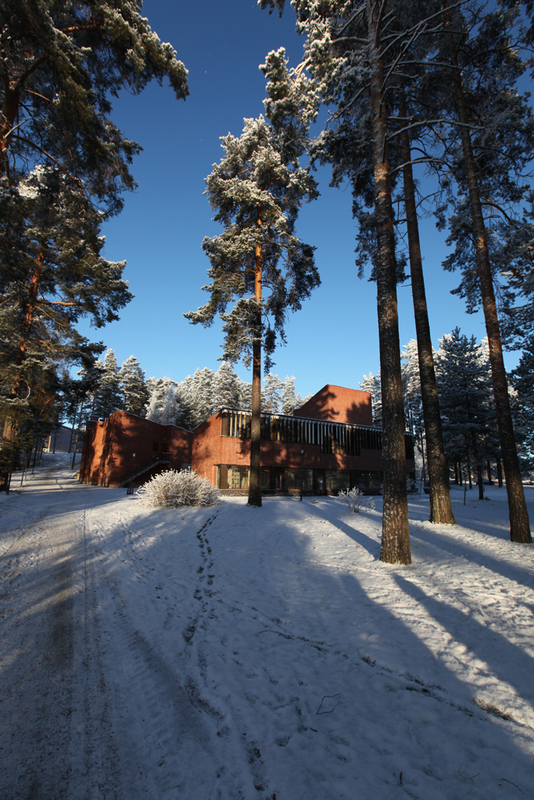 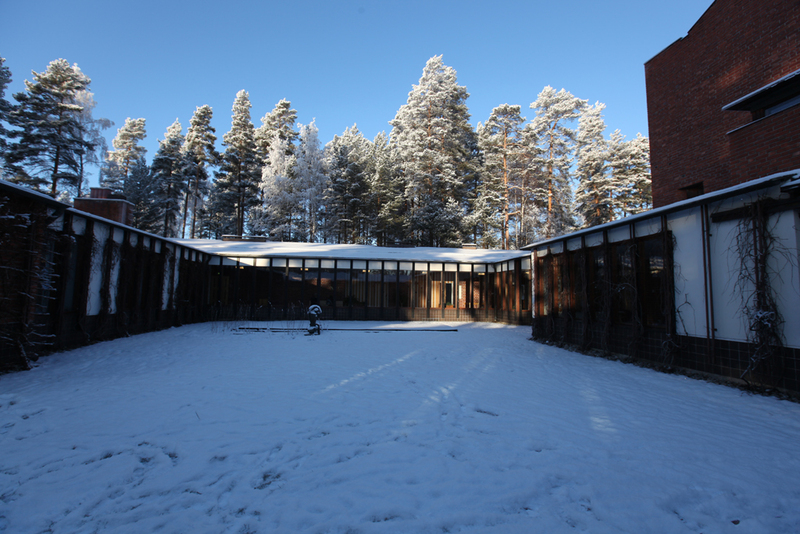 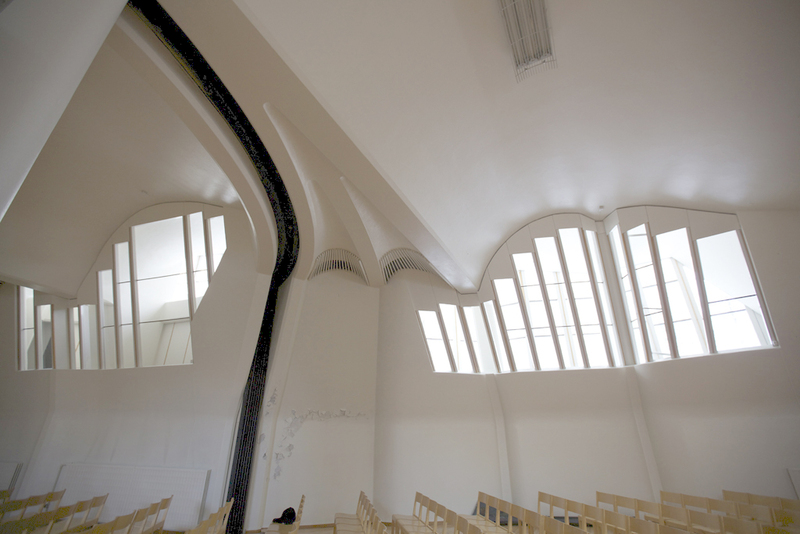 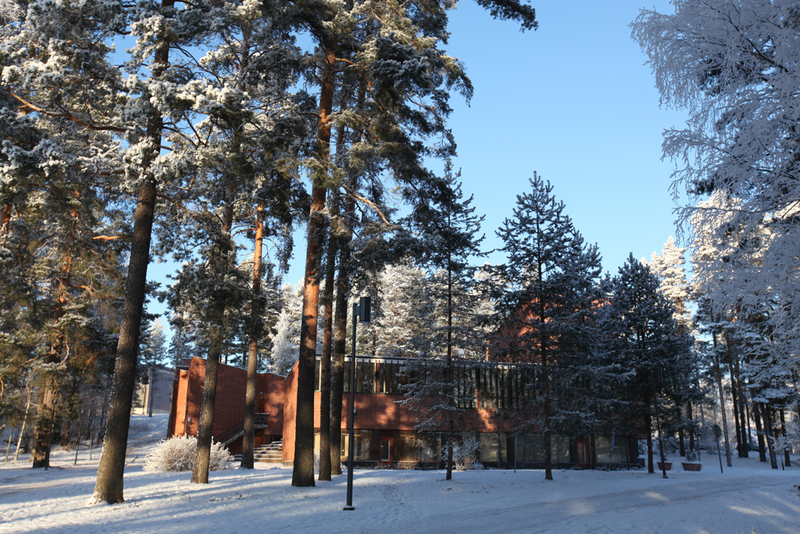 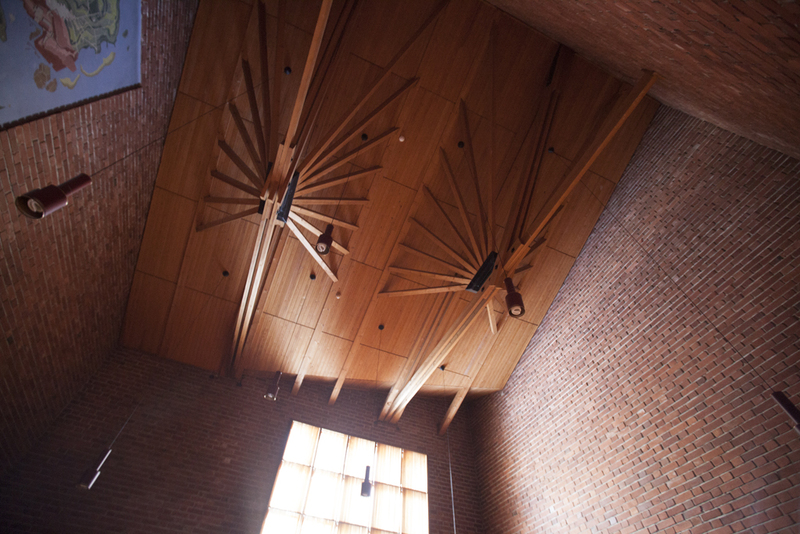 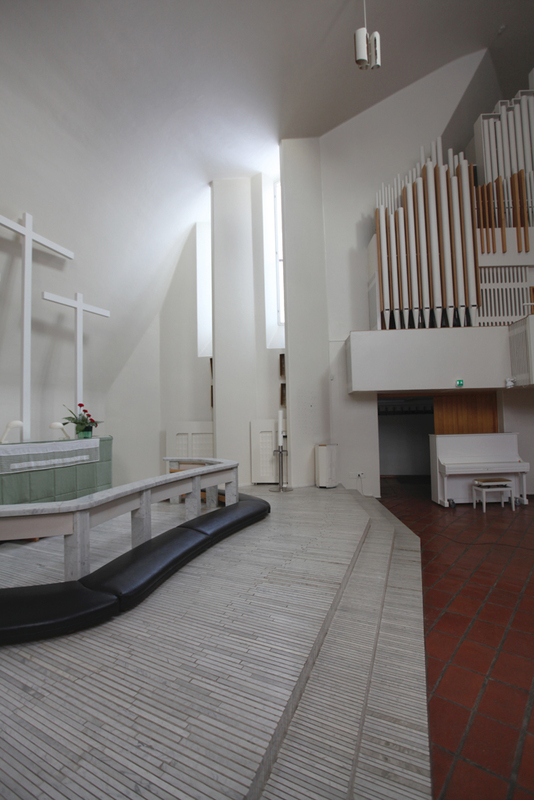 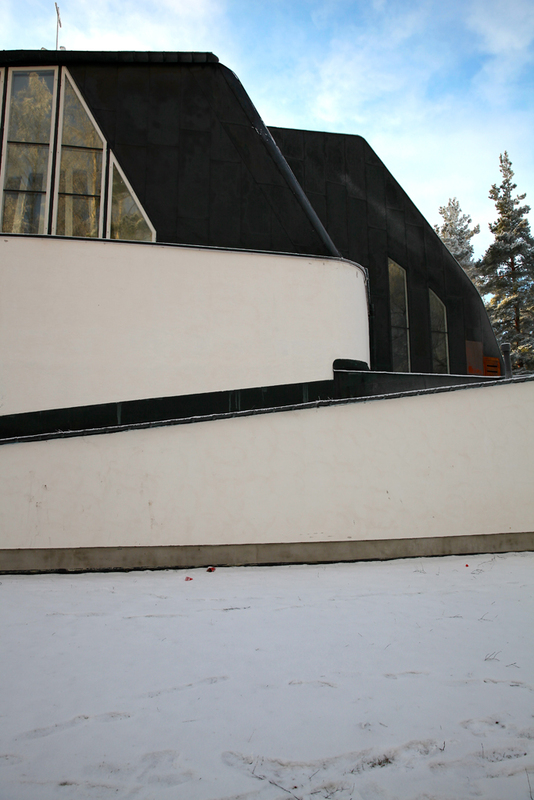 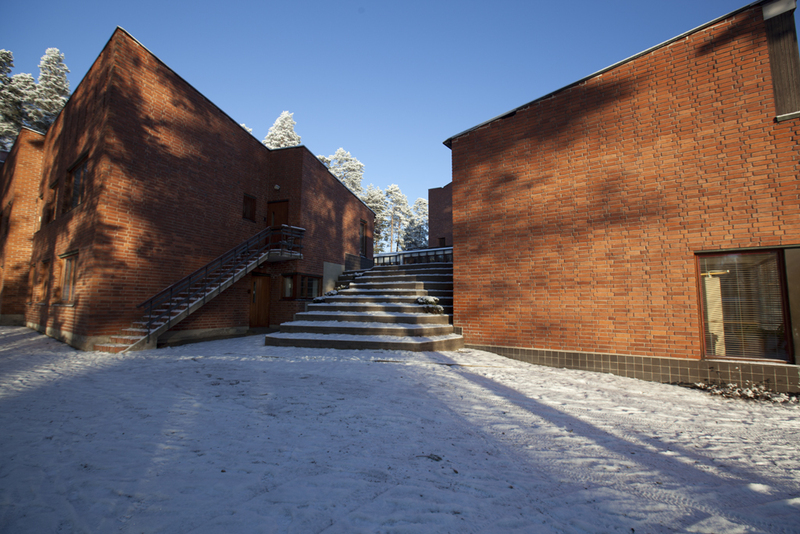 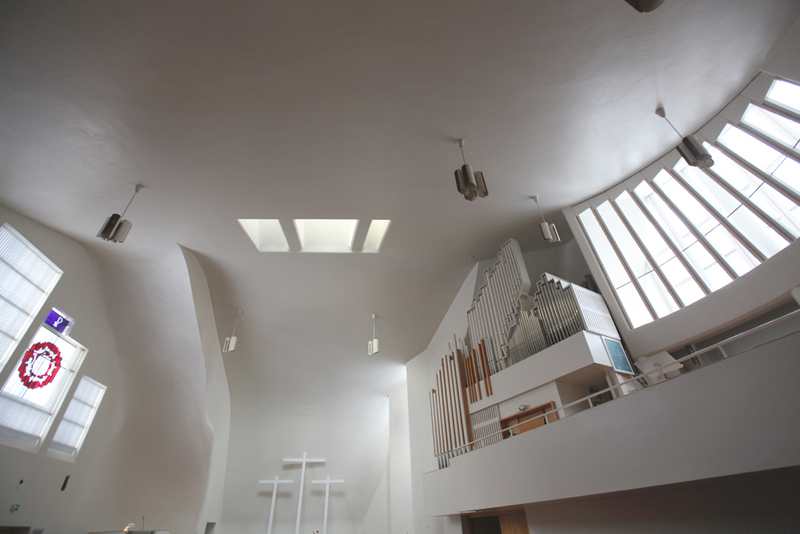 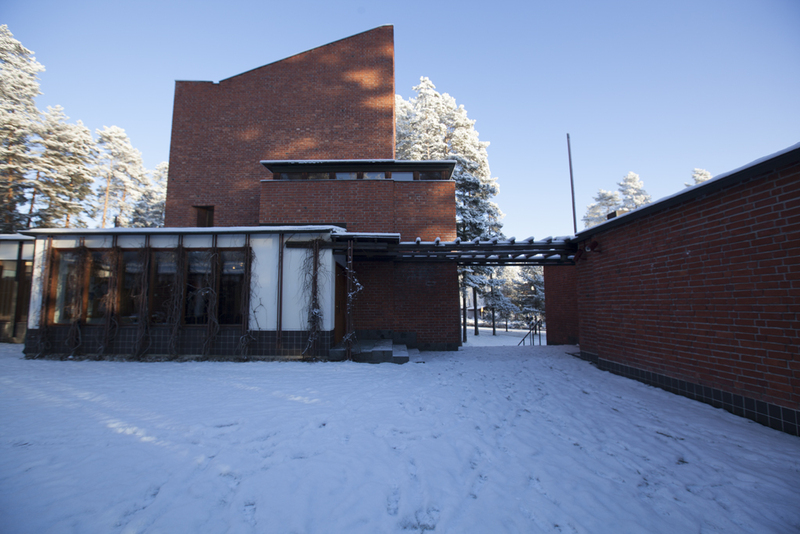 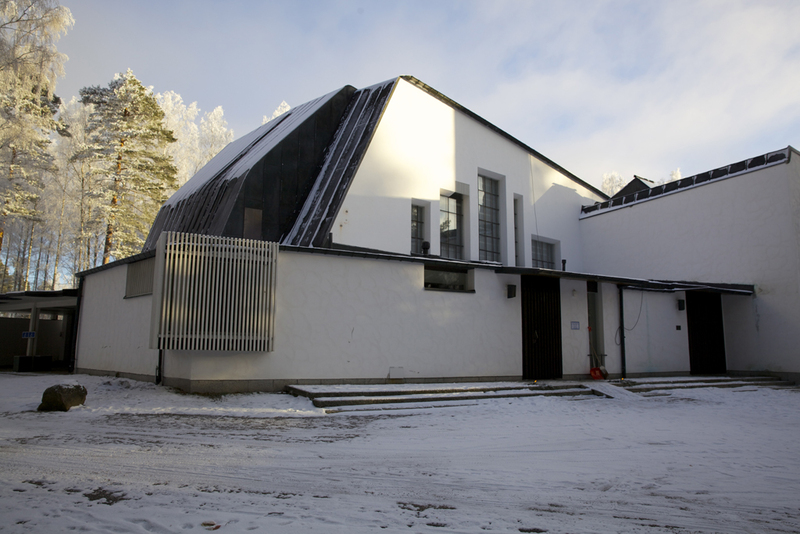 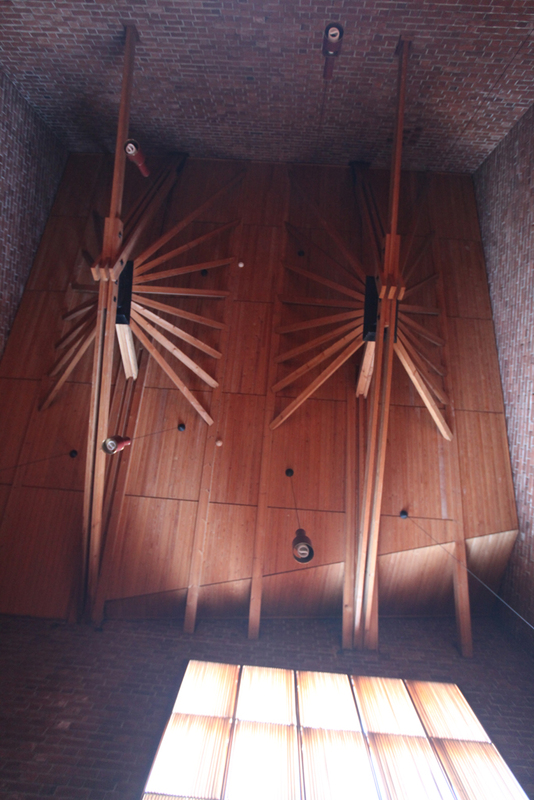 Of all the Aalto work I saw in Finland the Church of the Three Crosses touched me the most. 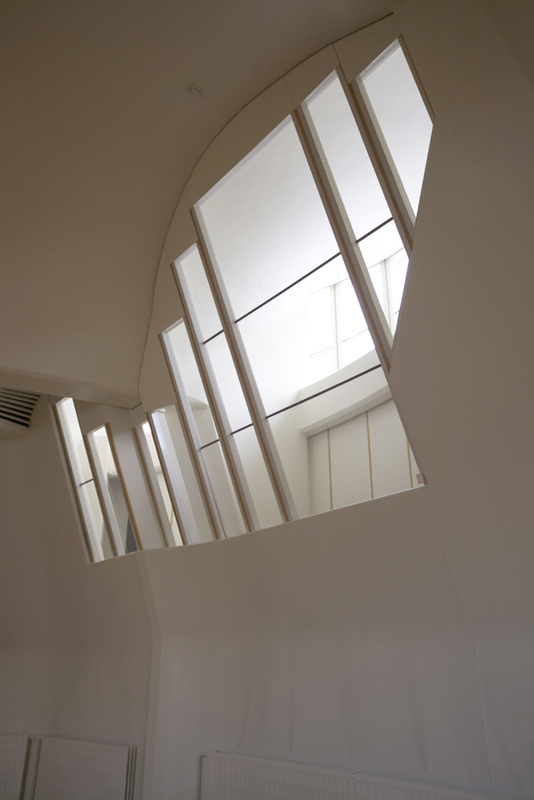 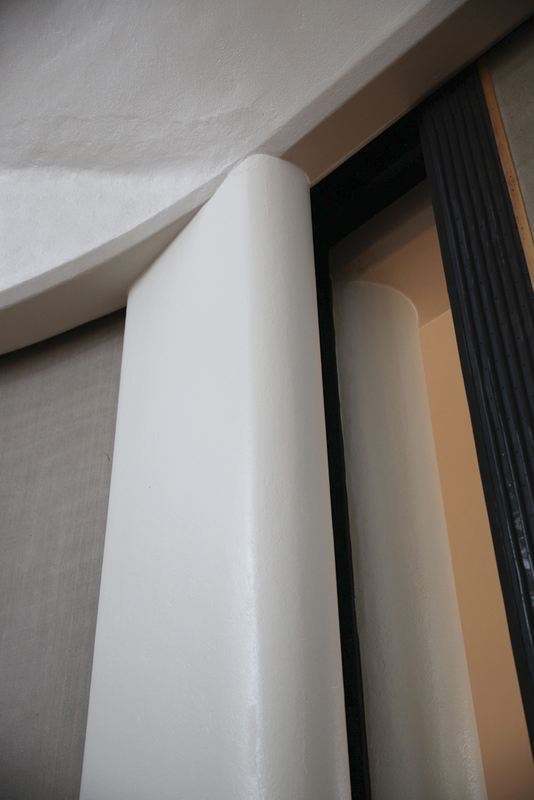 I will post some photographs of the interior on another day, but the teasing coincidence and separation of interior and exterior ideas is one of the building’s pleasures. 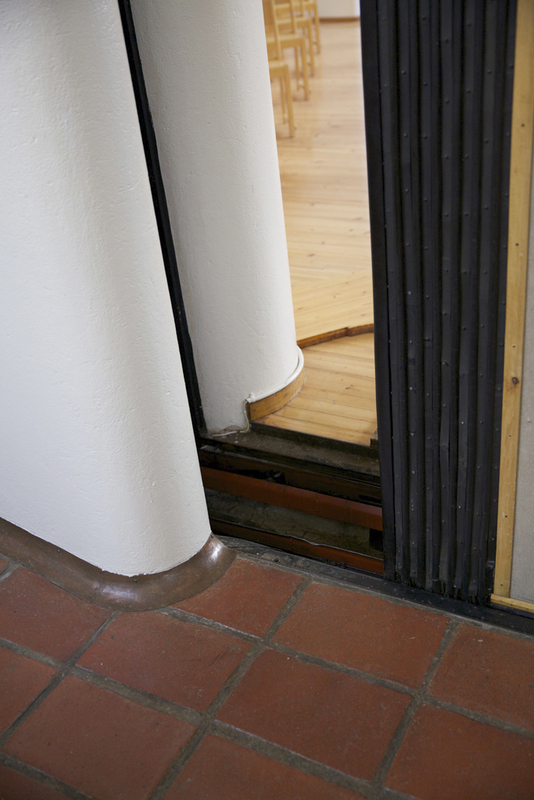 Many of the exterior walls harbour the sliding walls in the interior. 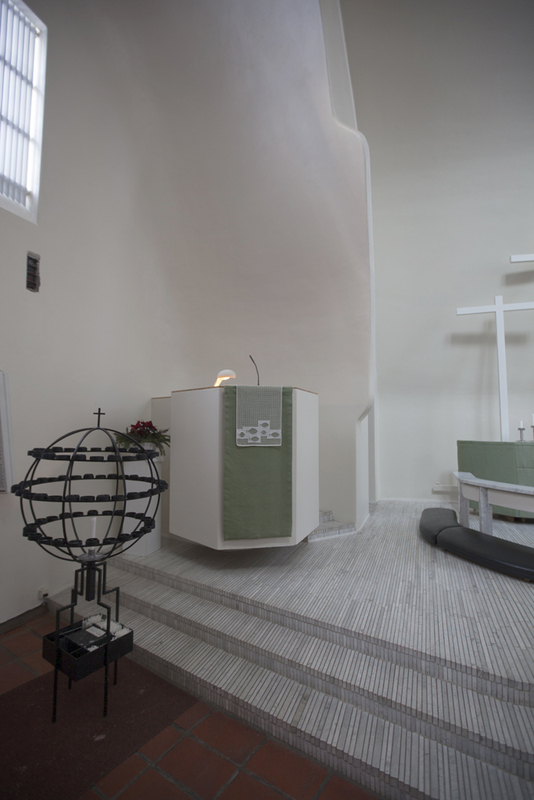 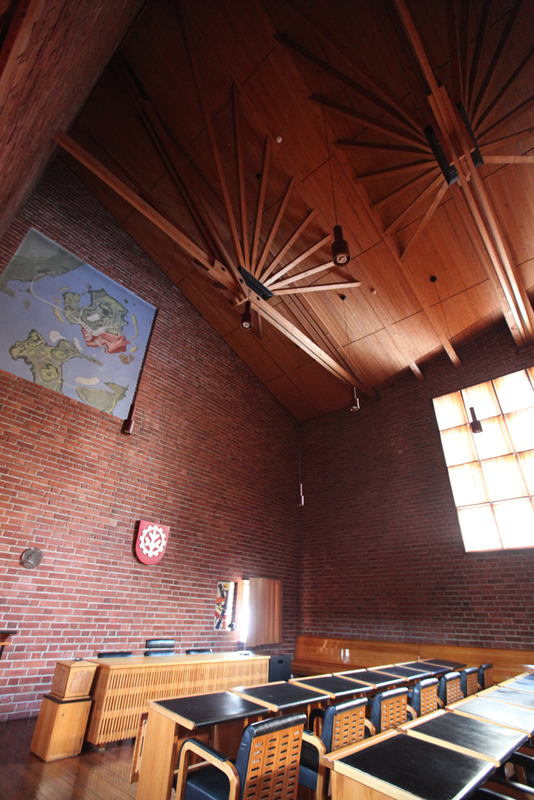 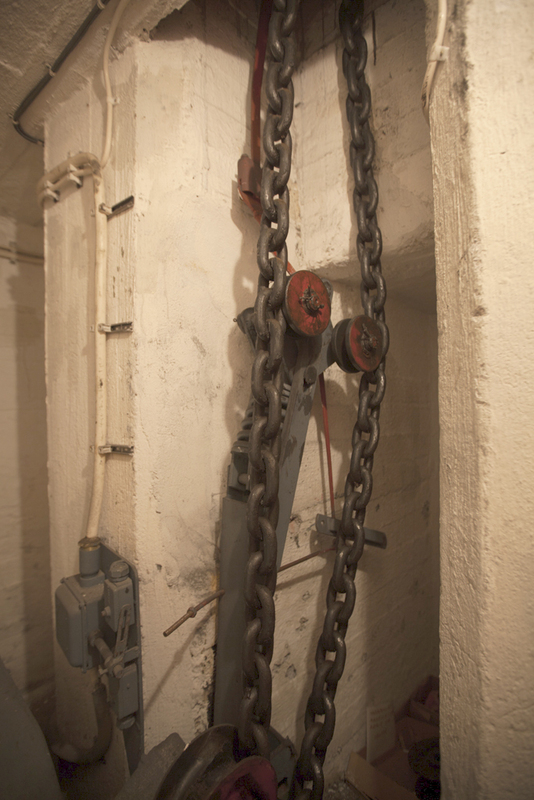 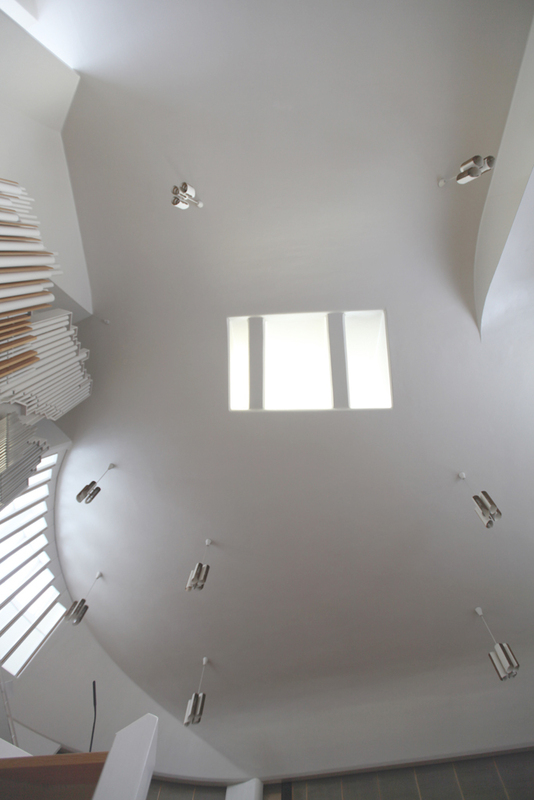 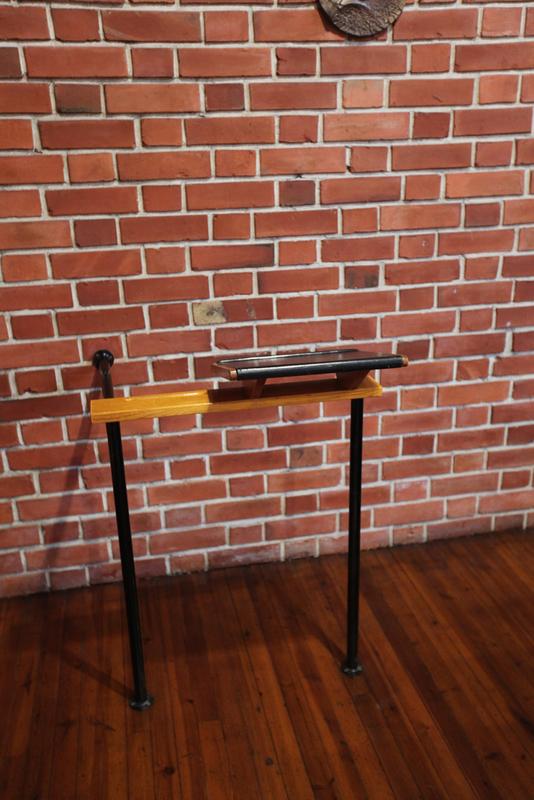 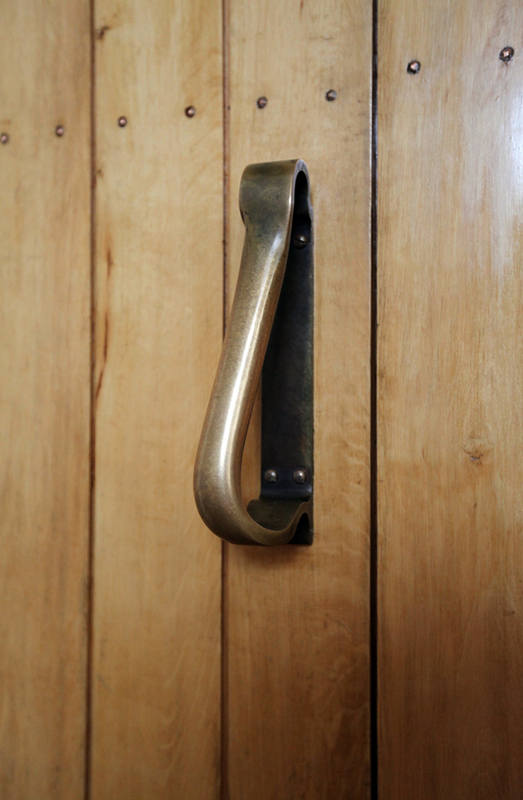 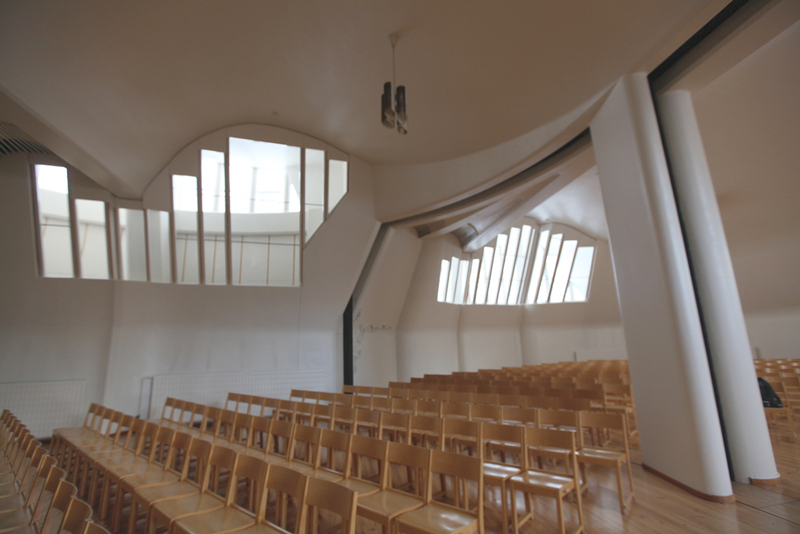 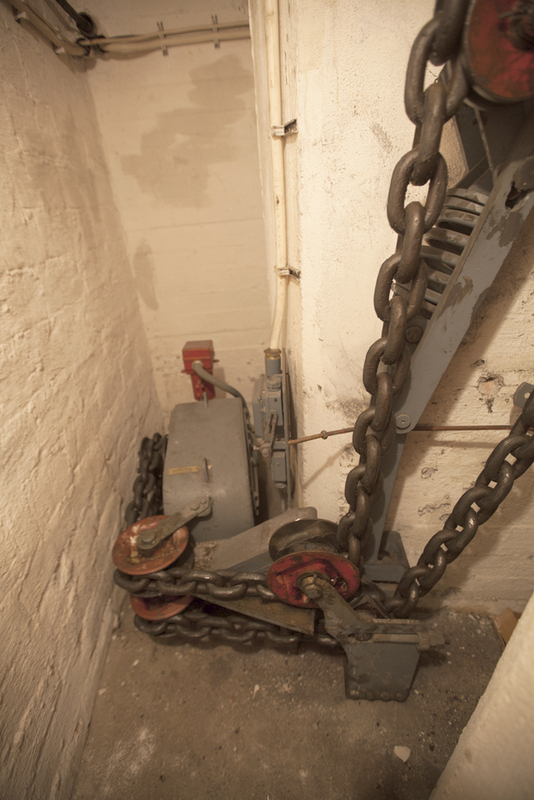 These allow the sacred part of the church to co-opt the spaces that are normally used for community activities on occasions when there are large congregations. 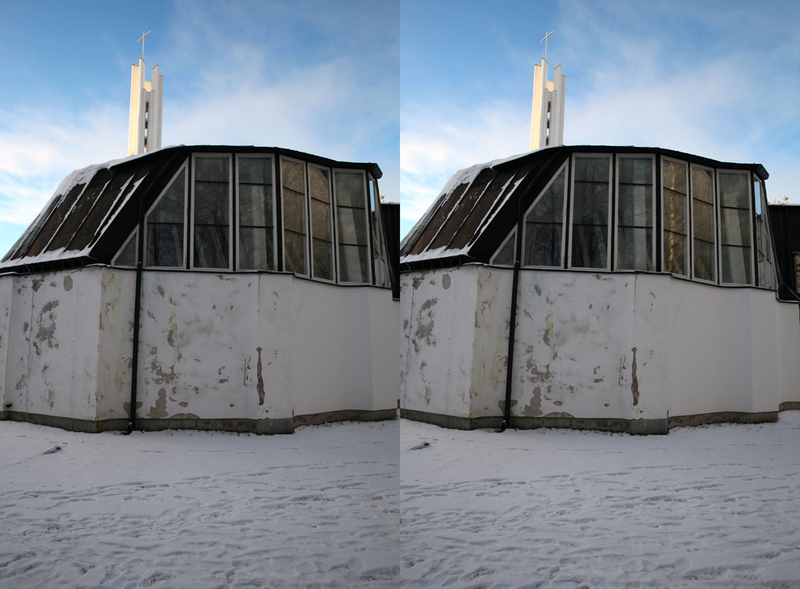 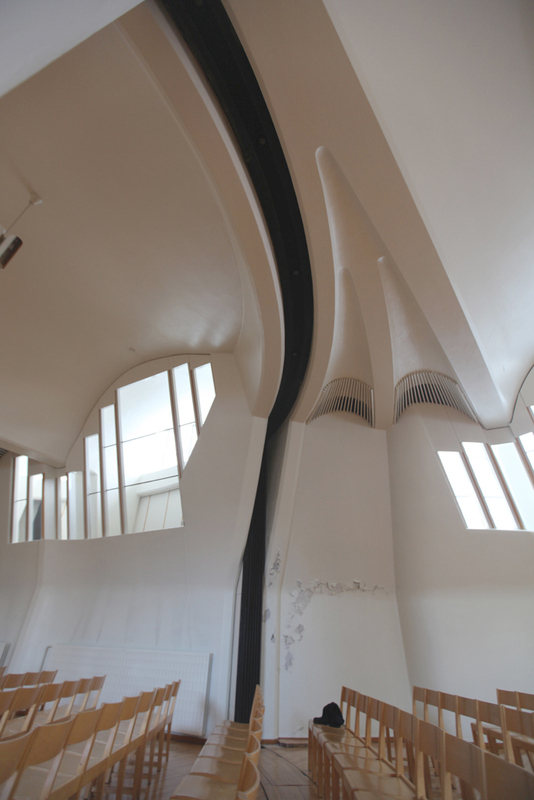 In the stereoscopic view you can see the space between the interior and exterior windows. 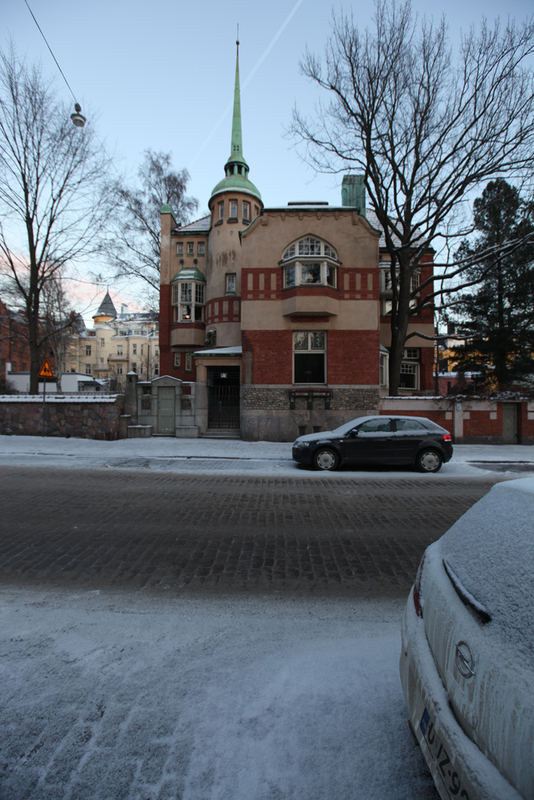 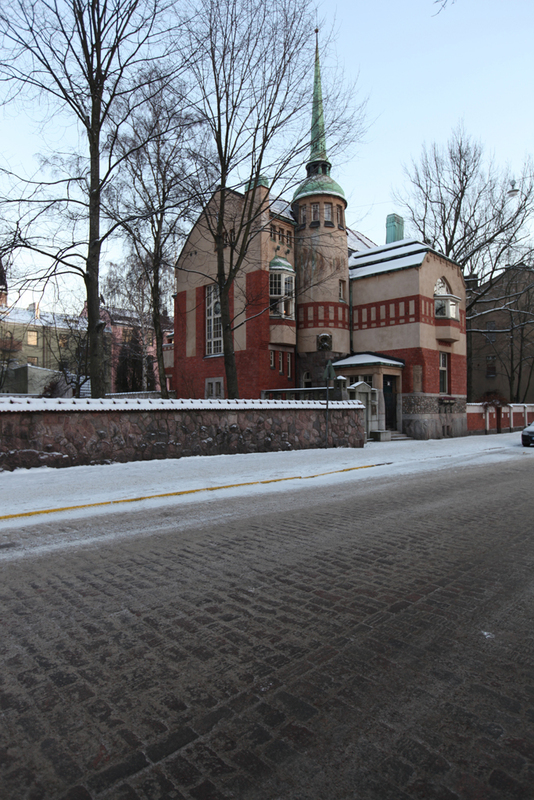 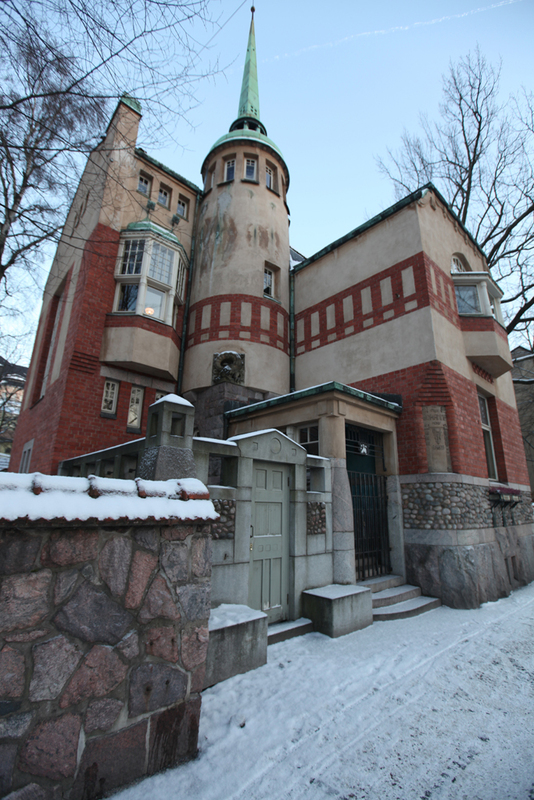 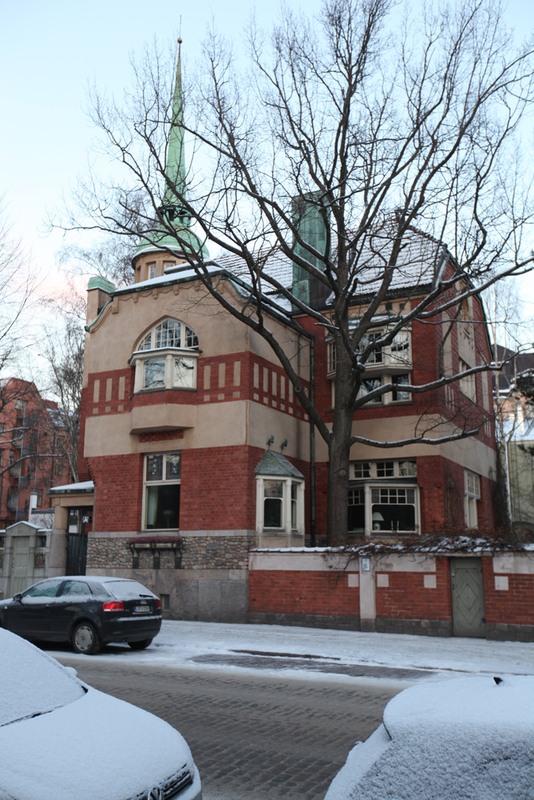 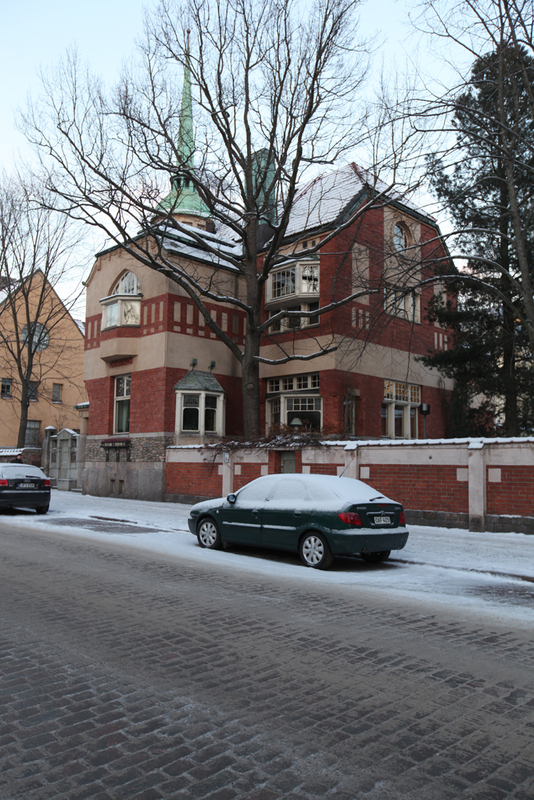 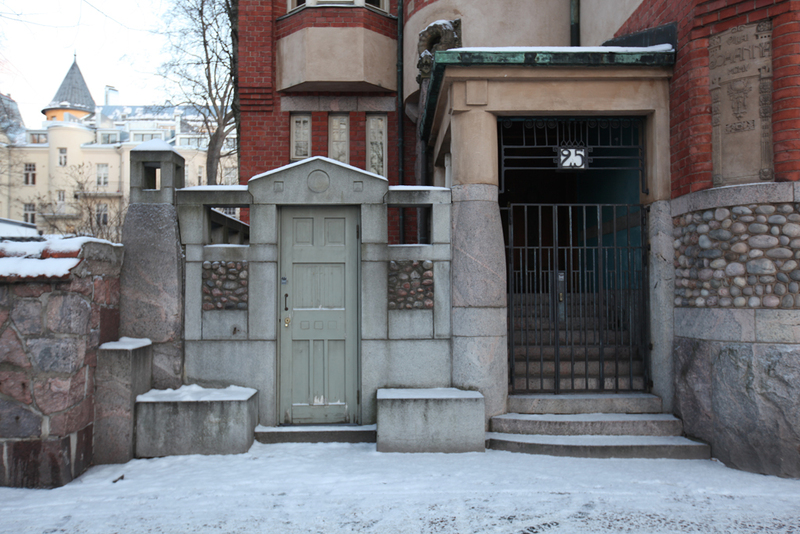 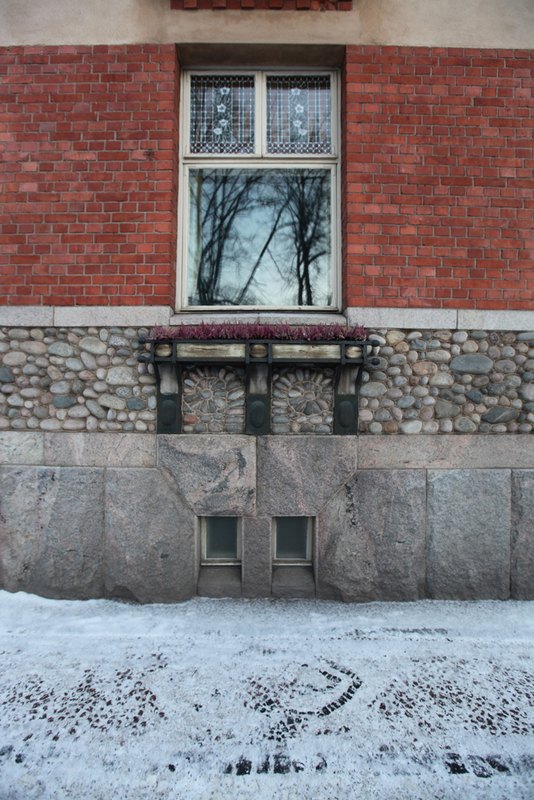 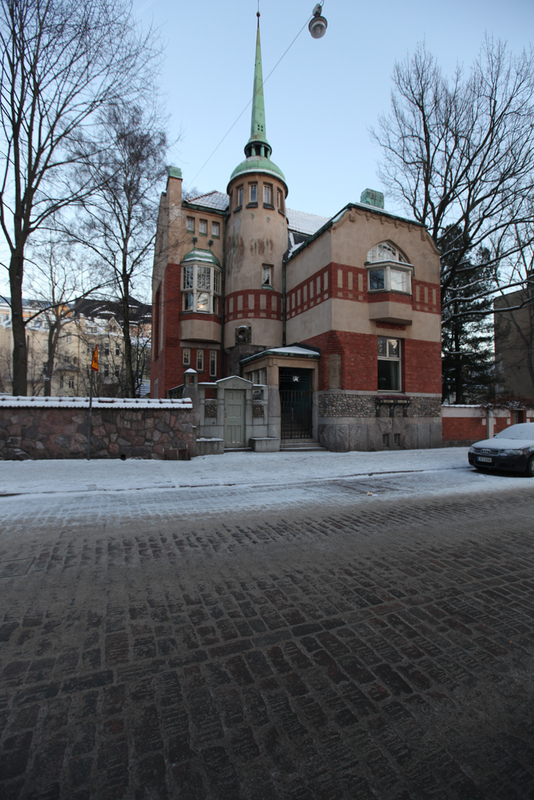 I came across this house, Villa Johanna , designed by Selim A. Lindqvist, from 1905. 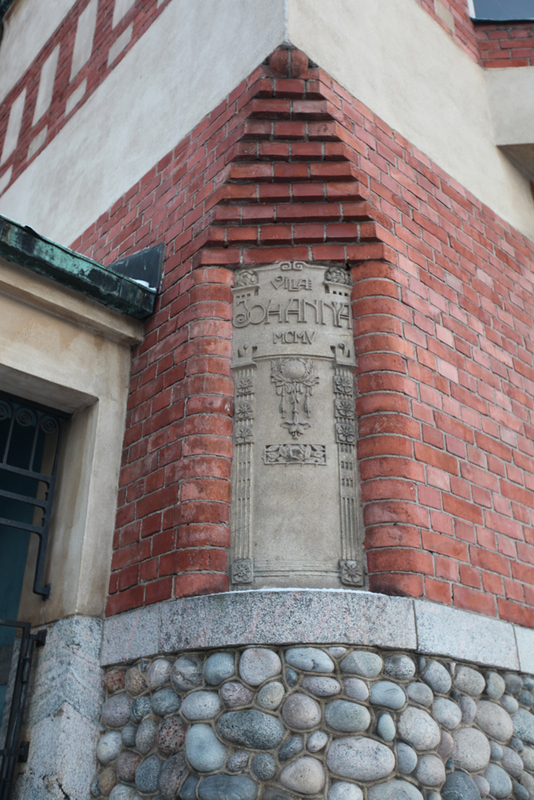 I can’t find much information on it but would like to know more.